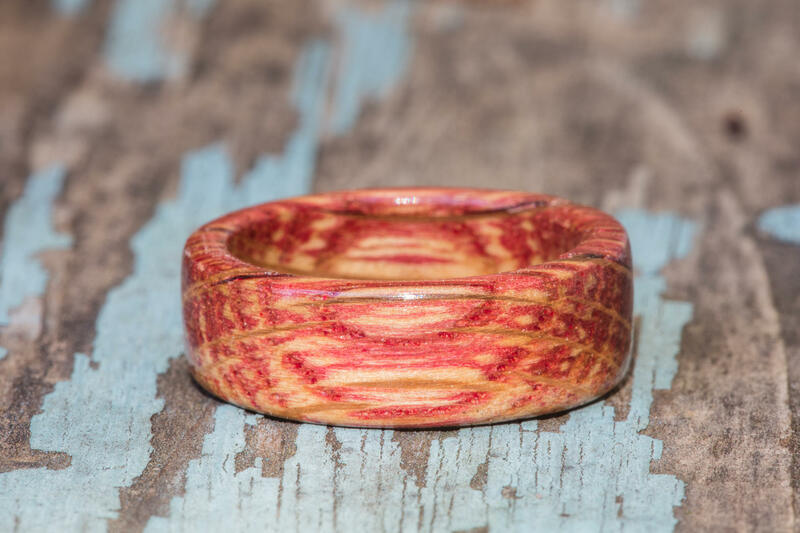 This is a red dyed Tennessee whiskey barrel ring - made and cut to order from an authentic used whiskey barrel sourced from the Jack Daniels distillery. 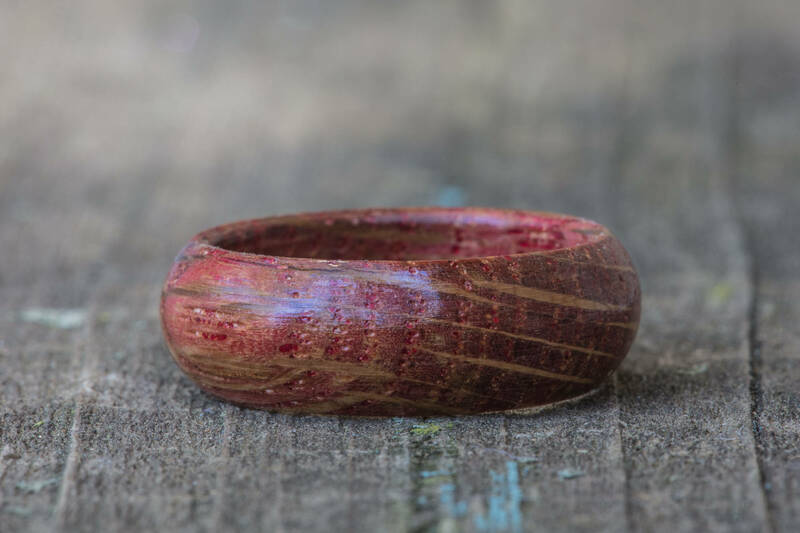 The barrel is sent directly to us from the distillery, where we break it down into individual staves that are cut and hand turned to make rings. 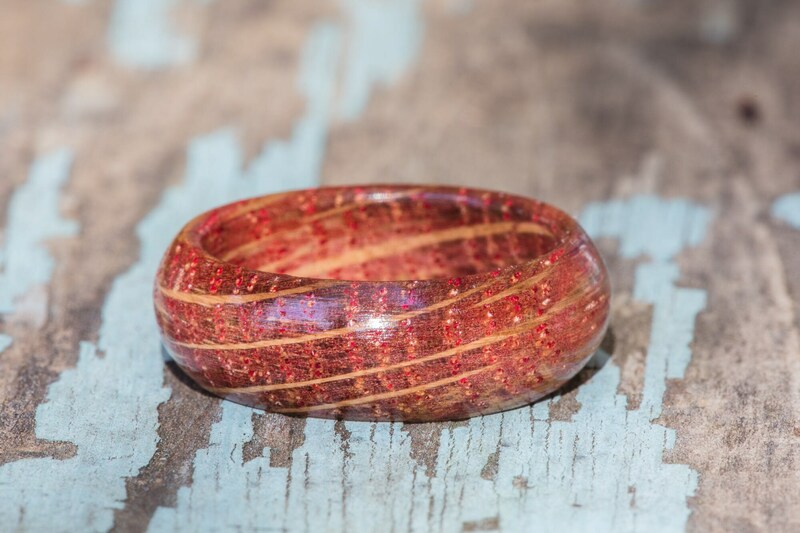 This ring is impregnated with acrylic resin, which provides extra strength and resiliency to the ring, as well as imparting a red color. 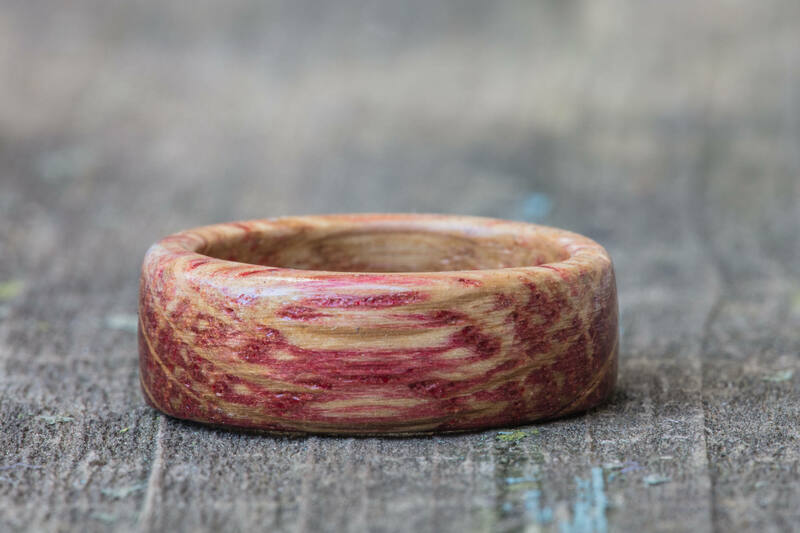 Each ring is unique because no two pieces of whiskey barrel wood are the same. 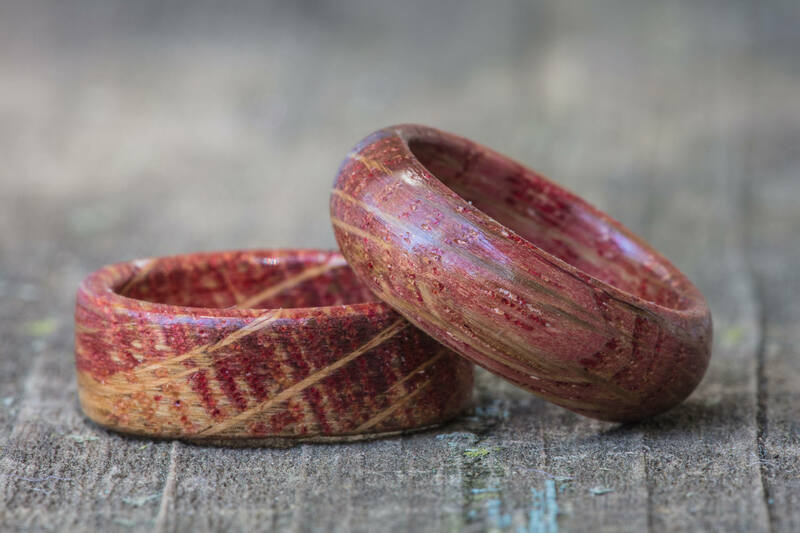 Wood patterns and colors will vary somewhat from ring to ring. 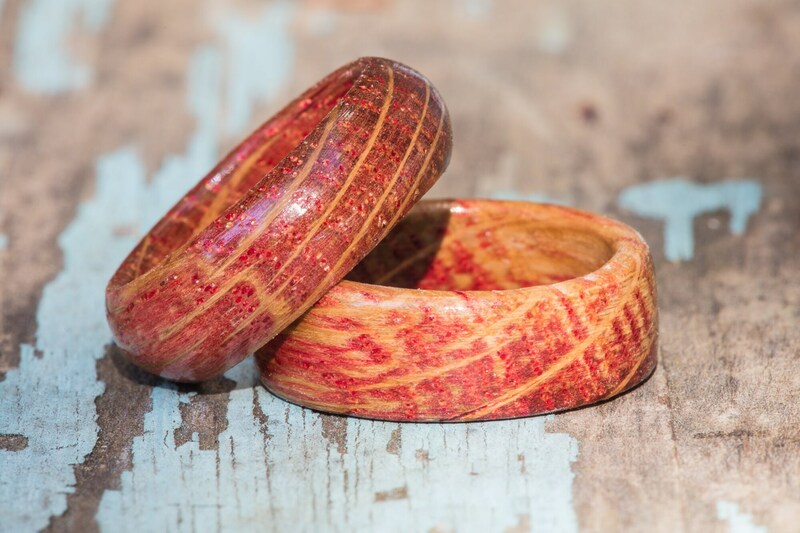 Listing photos are made outdoors - indoor lighting may affect how the color of a ring is perceived.